World YoYo Champion Marcus Koh shows off his clean, ultra-fast tricks and gives some background information on his latest bi-metal yoyo release in this new video. Always nice to get some backstory on the development of a new yoyo from a champ like Marcus! 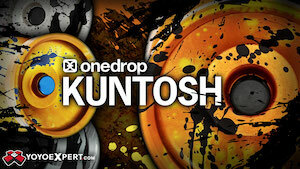 Yoyo used is the Throw Revolution Zephyr II. World YoYo Champion Marcus Koh shows off his clean, ultra-fast tricks and gives some background information on his latest bi-metal yoyo release in this new video. Always nice to get some backstory on the development of a new yoyo from a champ like Marcus! Yoyo used is the Throw Revolution Zephyr II. 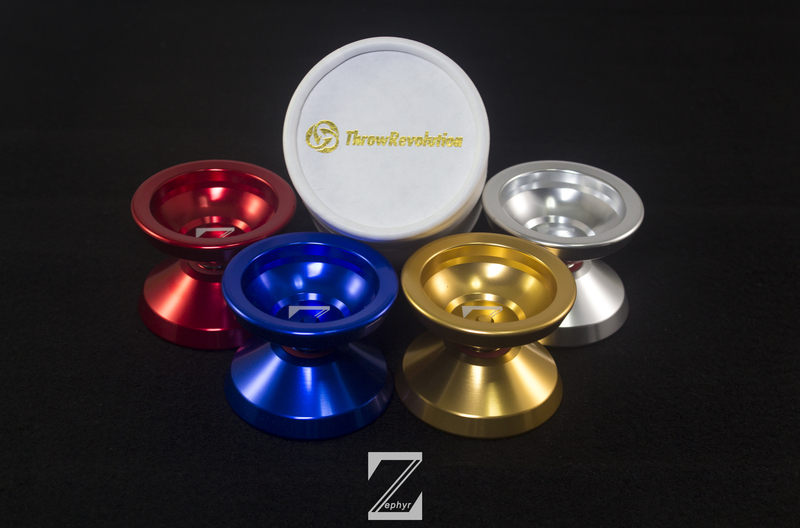 Throw Revolution has announced the Zephyr II, a bi-metal version of their mono-metal budget yoyo released last year. They’ve kept the weight down to 64 grams to hold to the current trend towards lighter yoyos, but upped the ratio of how much of that weight is concentrated in the rims. Expect the Zephyr II to throw heavy, play light, and spin for a loooong time! 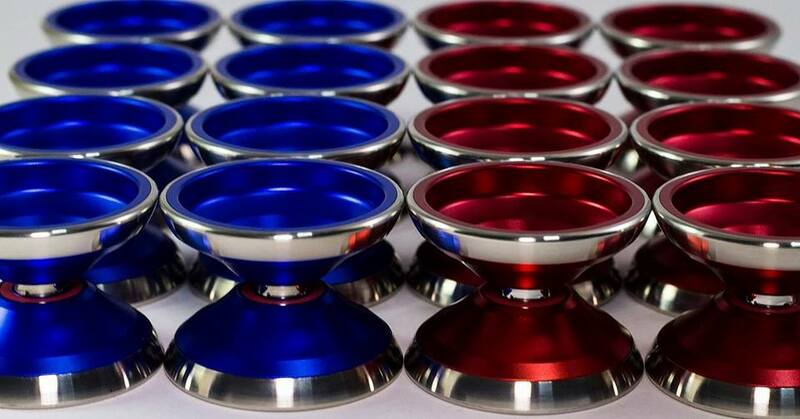 Expect to see the Zephyr II at YoYoExpert.com soon. Check out specs and more photos below! World YoYo Champion Marcus Koh gives us a clean 1-throw video with the Kaiser, the latest release from his company Throw Revolution. Something I noticed that I wasn't expecting...that silver ring that's engraved in the cup? It actually pops more than you would expect while the yoyo is in motion. I kept catching little flashes off it while he was playing, and the effect was unexpected and interesting. Nice work, Marcus! Yoyo used is the Throw Revolution Kaiser. World YoYo Champion Marcus Koh gives us a clean 1-throw video with the Kaiser, the latest release from his company Throw Revolution. Something I noticed that I wasn’t expecting…that silver ring that’s engraved in the cup? It actually pops more than you would expect while the yoyo is in motion. I kept catching little flashes off it while he was playing, and the effect was unexpected and interesting. Nice work, Marcus! Yoyo used is the Throw Revolution Kaiser. Throw Revolution introduces team member Ryota Komatsu and their newest bi-metal yoyo in this new video. Throw Revolution introduces team member Ryota Komatsu and their newest bi-metal yoyo in this new video! Ryota has only been playing for 4 years but he’s got a really clean style and pretty amazing control for such a young player. Yoyo uses is the Throw Revolution Gladius. Brian Low shot this fantastic video a while ago (but it was a school project and he couldn’t release it publicly, boo) and just released this alternate cut for us to enjoy. Featuring World YoYo Champion Marcus Koh and all the glorious black-and-white your little heart can handle. 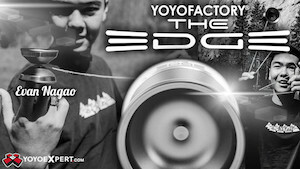 2011 World YoYo Champion Marcus Koh is bringing another titanium yoyo to market…the Throw Revolution Lotus. In a blog post on his site he talks about the design process and why he created this…it’s a nice read, so be sure to head over and check it out. Pre-orders are open now, with these limited edition yoyos expected to ship in July 2016. Check out a video and full specs below. 2011 World YoYo Champion Marcus Koh has brought his new company, Throw Revolution, out swinging with a couple of nice releases and some great videos. Check out his latest, featuring exactly the kind of awesomeness that gets you a World title. Yoyo used is the Throw Revolution Vertex. Throw Revolution, the new company from World Champion Marcus Koh, has announced their first budget model, the Zephyr! Available from their site and select retailers worldwide on January 4th, the Zephyr is set to retail for only $49 USD. Sweet! 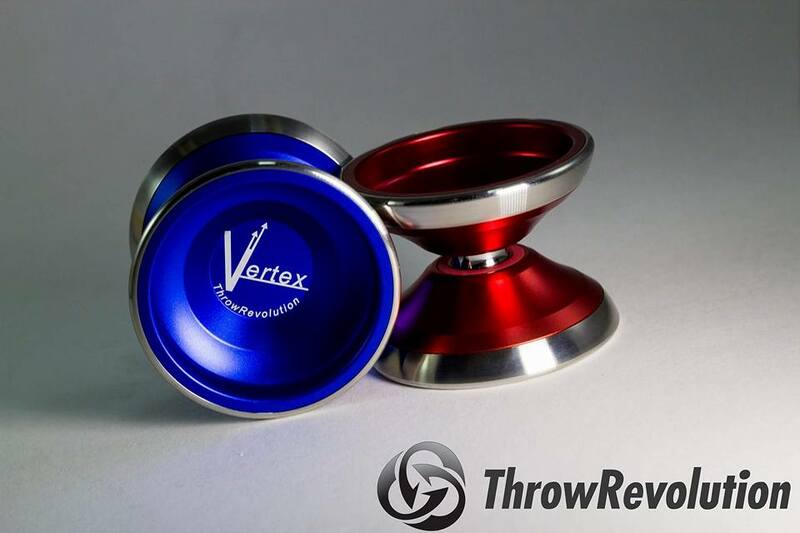 Throw Revolution has released their first model, the Vertex! Designed by Marcus Koh and his father, the Vertex is built specifically for high-level horizontal competition play. With Marcus’ skills as a yoyo player and his father’s skills in design, this is definitely looking like a contest killer of a yoyo. 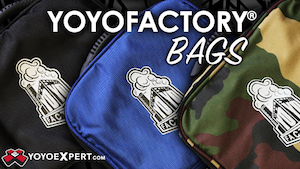 Check out the promo video above, and then head over to Marcus’ shop to order your own. These should be hitting retailers soon! If you’ve been following along on Facebook you would know that 2011 World YoYo Champion Marcus Koh is starting up his own company called Throw Revolution. 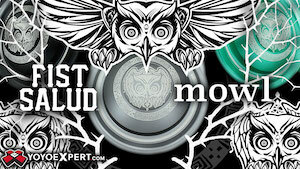 Today he released a teaser trailer for his first yoyo, the Vertex! I got a chance to take a peek at one of these at US Nationals and the quality is top notch. Available worldwide on October 15th, check out pics and specs of the Vertex below. Former World YoYo Champion Marcus Koh is one of the indisputably best yoyo players who has ever lived. And it’s hard to have that kind of hype behind you and live up to it, but this video proves that there is literally nothing you can imagine about his yoyo play that he can’t accomplish and then exceed. This entire video is just mind-blowing from start to finish and Marcus Koh has set himself up as THE player to beat at the 2015 World YoYo Contest in Tokyo!